Storms and hurricanes have an epic history on Long Island and in Upstate New York, from the September 1938 “Long Island Express” hurricane to the devastating winds and waves of Superstorm Sandy in 2012. Now, on the 5th anniversary of Sandy, In Harm’s Way will explore how local residents and government agencies prepare and recover from natural disasters in the wake of Sandy, as well as Hurricanes Lee, Irene and other storms throughout history through stories, photographs, objects and architectural models. 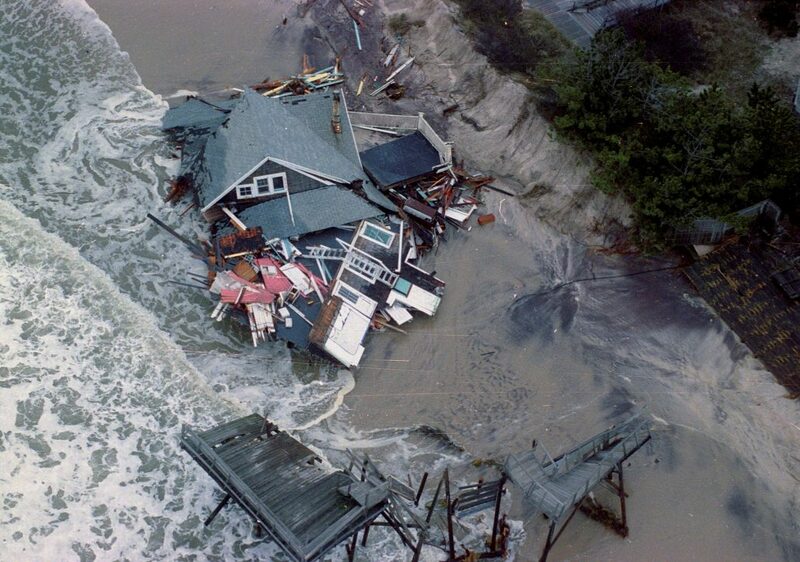 The exhibition examines how individuals and families prepare for severe weather events, how communities protect their coastlines, and how these actions have changed over time. Examples of these actions will include the use of snow fencing to stabilize beaches, home elevations after recent storms including Superstorm Sandy, the creation of sea walls and storm barriers, and creating emergency kits to suit specific needs within a family.